Canadian-based NC Services Group Ltd., parent company to NCSG Crane & Heavy Haul Services Ltd. (“NCSG”) announced today that it has acquired the assets of Prince Rupert-based business, Doug’s Crane, from Broadwater Industries (2011) Ltd. (“Broadwater”). Doug’s Crane was founded in Prince Rupert in 1984 by Doug Mackereth Sr. and the company is the leading supplier of fully operated and maintained crane services in Prince Rupert, British Columbia. The Prince Rupert region is a booming west coast port and is the location of a number of proposed LNG facilities. 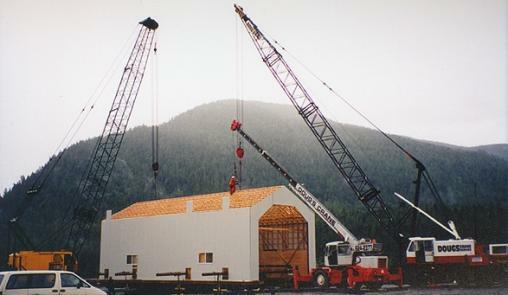 NCSG began as Northern Crane Services. The company was founded in 1987 and purchased in 2006 by the current investor group. Since that time, NCSG has done seven follow-on acquisitions and grown at a compound annual growth rate of approximately 30%. NCSG, based in Edmonton, Alberta, is one of the 10 largest Crane and Heavy Haul companies in North America1. NCSG provides lifting and heavy haul services throughout the North/South Energy corridor. In Canada, NCSG has branches in Prince Rupert, Terrace/Kitimat, Fort St John and Tumbler Ridge in British Columbia; Fort McMurray, Grand Prairie, Edmonton, Wabasca and Bonnyville in Alberta; and Regina,Saskatchewan. In the U.S., NCSG has branches in Soda Springs, Idaho, Billings and Sidney in Montana, Williston and Dickinson in North Dakota, and Odessa, Texas. NCSG has a diverse fleet of over 295 cranes and picker trucks, ranging in size from 8 to 1350 tons as well as a highly specialized heavy haul tractor and trailer fleet servicing the LNG, refining, oil sands, upstream oil and gas, mining, infrastructure and wind industries.